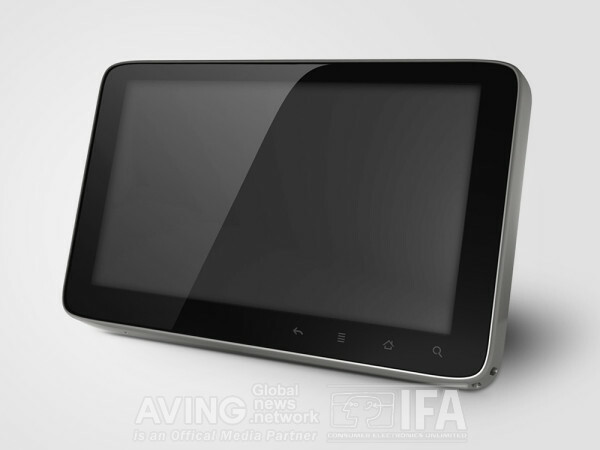 Discussion in 'Android Tablet News' started by gurgle, Aug 27, 2010. The 50th IFA Consumer Electronics is only one week away (3 Sept-8 Sept). This will be a landmark event for the Android Tablet lover. I know that many of you only care about Miss IFA and forget about the other sites. But, I will try to ignore her unbelievable red hair. This is the ultimate Electronics show of new technology in Europe. This year will be no different. One item of note though is the number of Android Tablet announcements planned Here is a short list. And I am sure there will be others. Next weekend will be an interesting week as the name brands and not just the generics jump with both feet into the Android Tablet. It will also give an indicator on things such as delivery of these new products to changes and updates like Android Gingerbread and Honeycomb. I wish I could be there. It is an experience. And this Link "Will IFA Herald the Beginning of the Tablet/Slate Tsunami? | GottaBeMobile"
provides insight on what to really pay attention to in the news bits created. Thanks gurgle for this pre-event news. Sounds like its gonna be exciting week. I deffo want an apad, but just don't know whether to enter at Android 2.2 7" screen, or wait a little while for 3.0 and 10" screens. HDMI, USB host, OTG, microphone, 0.3 megapixel.